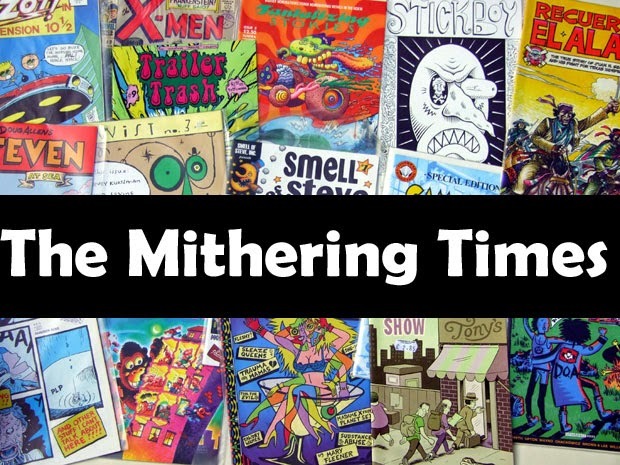 the mithering times: Into The White. Cybersnow., originally uploaded by mithering. I've been finding it hard to allocate mental time to this blog recently. First off because it's been Christmas and all that and my time is better spent playing table football and Wii bowling with The Kids. Secondly, because it's been snowing and all that (where have you been?) 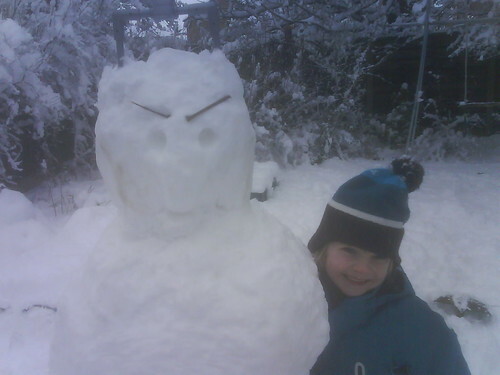 and my time is better spent making Cyber Snowmen and snow angels with The Kids. And also because it's been snowing and all that, so the week of leave I had to take between Old Job and New Job, the week in which I had so much activity lined up, was destroyed when I had to look after The Kids instead of Indulging Myselfish. Dee Stroyed like a 77 punker. In the meantime, nothing has happened. A lot. I've 'come out' as myself both on here and on twitter. And I've started my new/old job which means travelling to Dewsbury nearly every day for a month to be trained to do what I already know how to do. (I know it's for The New Kids really, and they seem to be a smart bunch). It was when I was over there today, looking through the folds of one of those blinds that hangs down in strips rather than across - a kind of arsey version of a venetian blind - into a cobbled courtyard, streaked with murky, dirty snow, that I saw a grey wagtail. It was the first time I've seen one away from water and reminded me that I needed to get cracking on this thing again, and that I need to get some closure on the Boddies to Dolefield / Peel Park to Dolefield adventure I closed on Christmas Eve so that when The Hive does eventually open I can begin again. Up Against The Wall XVII: Have you seen my poo?